The Brisbane Truck Show is renowned as the place to be for the first look at the latest offerings from Australia’s wide array of truck and trailer manufacturers and distributors. Once those trucks are on the road and clocking up the kilometres, who is going to look after them to make sure they’re kept in tip-top shape? Australia’s best up-and-coming service technicians will put it all on the line in one of the most entertaining highlights of the Brisbane Truck Show. Nominations are now open for the 2019 Heavy Vehicle Industry Association (HVIA) National Apprentice Challenge, to be staged live at the biennial event from May 16 to 19. HVIA’s Paul Woodland says that heavy vehicle mechanical apprentices at any stage of their study from across Australia have the opportunity to compete in the exciting "hands-on" competition. "The National Apprentice Challenge showcases the nous and initiative developed by these new entrants to the industry," Paul said. "Teams of two apprentices will be selected to represent each of HVIA’s three National Regions: Eastern, Southern and Northwestern. "Each regional team will work on identical Iveco Stralis X-Way prime movers to identify and rectify a series of programmed faults as the clock ticks. "The winning team is the first successfully to identify and repair all the faults, or the team that rectifies the most faults within the allowed time frame." For visitors the show the competition is quite a dynamic spectacle, with commentary explaining the apprentices’ moves and strategy, as their approach to addressing the challenge unfolds. "Things can get tense as the teams watch their available time evaporate," Paul added. "Of course, there’s the glory of the title up for grabs, but the fun and camaraderie the competitors share over the four-day event is equally what it’s all about. "That said, the prizes are nothing to sneeze at either." 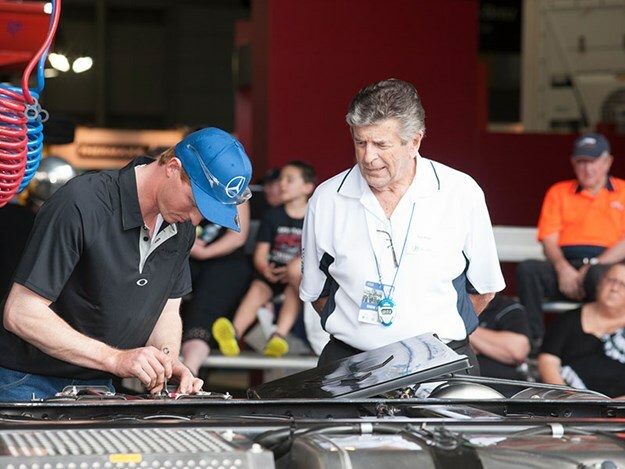 Thanks to sponsors NTI and Truck Assist, the winners will receive return airfares, tickets to the Vodafone Gold Coast 600 Supercars event next October. Finalists also receive prizes from Warby Tools. The teams will be made up of the two apprentices from each region with the highest results from a two-hour theory exam held at their nearest TAFE institute coordinated by TAFE Queensland SkillsTech. Selected competitors will be hosted to the 2019 Brisbane Truck Show including travel, meals and accommodation.